Real Estate niche is a prominent field to start an online profitable business and you need to take a careful preparation to run. Choosing a suitable WordPress theme which perfectly fits with your target in real estate development giving you lots of controversial. We have hand-picked these real estate themes basing on WordPress that have modern and trendy styles as well as functional features to work with. Though you can find some familiar features on each theme; however, most of them give users ultra-customizations to distinguish your site amongst others. 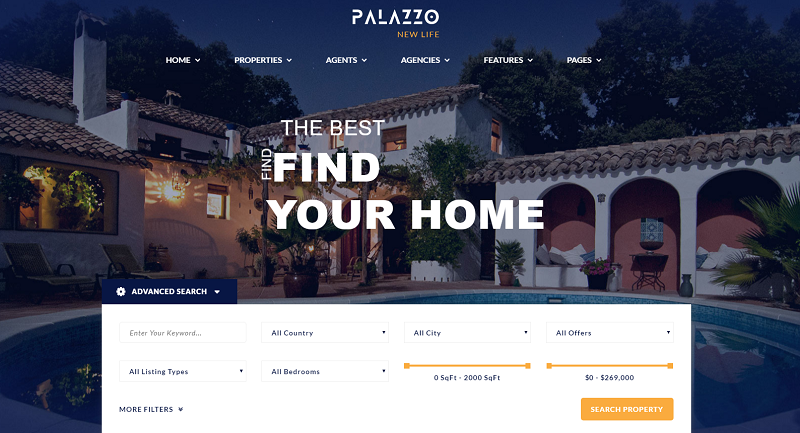 Explore what’s new in real estate themes 2018, Palazzo will be a good answer because of deserving all users a great user experience in building up a real estate site with caring all needs that real estate agents, agencies and companies wish them being available in. Also, with easy-to-use front-end and powerful backend features, the theme will engage more users. 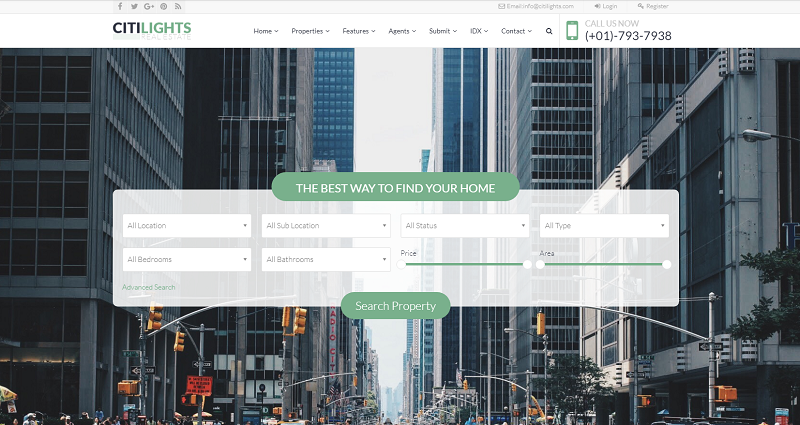 CitiLights has been one of best real estate WordPress themes for a long time with powerful functions it gave customers included Front-end submission, Membership Subscription, Google map integration, Advanced search, Property Featuring, dsIDXpress IDX Plugin support and more. 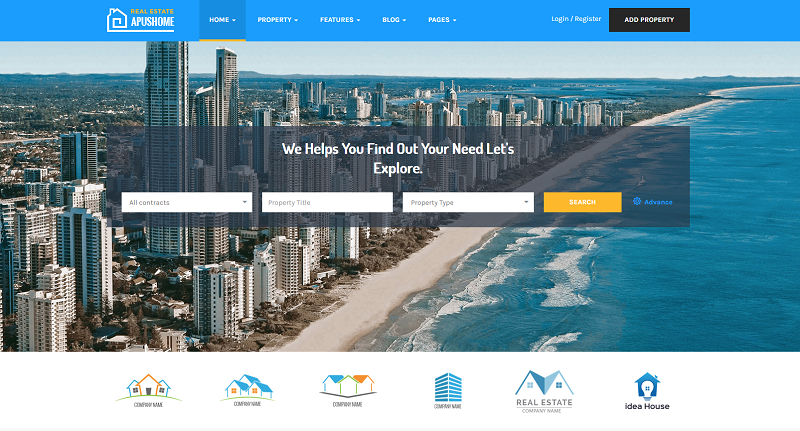 And now, the real estate theme has updated to a new look which is much more modern and suitable with the current real estate site requirements. Most of the customers hope to build up a professional real estate site to smoothly run their business and ReaLand is a smart choice to get. The real estate theme comes with a rich user interface kit that contains a wide variety of website elements carefully designed and coded. So users easily find and sell houses and apartments online, provide rental services, or create property listings, ReaLand might be the right choice for you. Landmark is a highly adaptable solution for webmasters of any background and experience level seeking to create functional, modern and flexible property listing portal websites. The modern real estate theme is developed with a deep research on property listing portal, as well as agent and real estate agency website. So if you need a complete solution in building a real estate site with modern design, Landmark will be a good option. If you wish to own a well-designed, flexible and SEO friendly website, Apus Home will be your wish. The real estate theme allows customers to easily work with. Specifically, you can manage their own listings without accessing the admin dashboard or manage the profile, password and payment backlog. 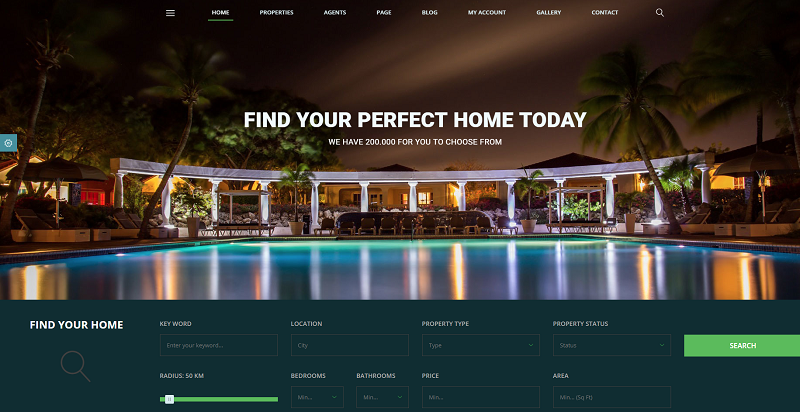 Finding a single property real estate theme, you should visit DreamHome which comes with two different Options, Multi-Pages, and Single Page Parallax Version. So, users are able to their expected version. 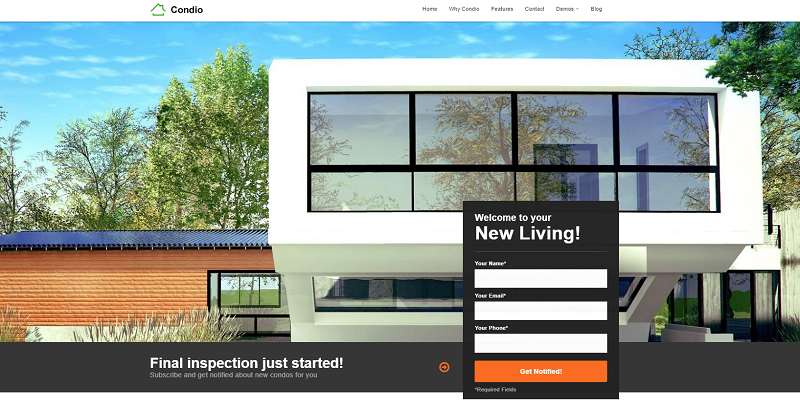 Like DreamHome, Condio is also a Single Property WordPress Theme. The real estate theme comes with three versions Fixed header, Parallax, and Video background to fill your needs. And users easily to promote their real estate projects with stylish blocks, which are easy to create and edit. 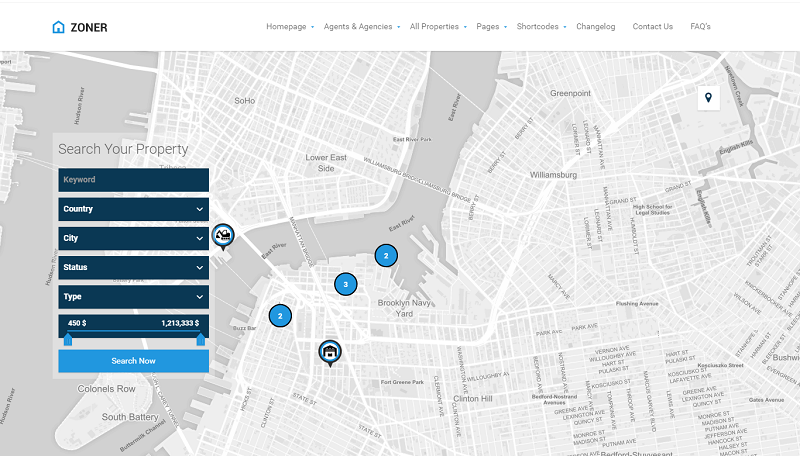 CityEsate gives users more attractive options with up to 6 Unique Demo Variations with a specific target such as Single Property, Multiple Properties, and Agent. There are 5 different variations for showcasing your Properties. HOT: 5 different variations for showcasing your Properties. Being different with Zoner which is a new Real Estate WordPress theme with unique functionality, design, and features. 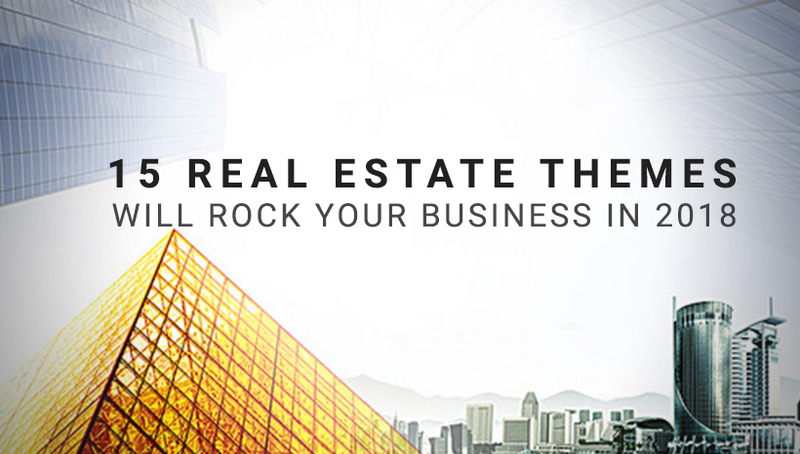 The real estate theme is perfectly designed for agency owners, personal or standalone Real estate agents. Furthermore, you can watch videos try Zoner lite on wordpress.org check pages on PSD mockups. Hasara House is a complete solution to build up a professional real estate site with all dedicated real estate pages as Properties, agents, etc. Plus, the theme allows users managing the property with Opal Property and agents with Opal Agents. Users also get a strong impression of the theme by offering a flexible layout system, creative design, and ultimate core features. Being similar to Hasara, FullHouse also allows you to manage properties and agents with Opal Properties and agents respectively. 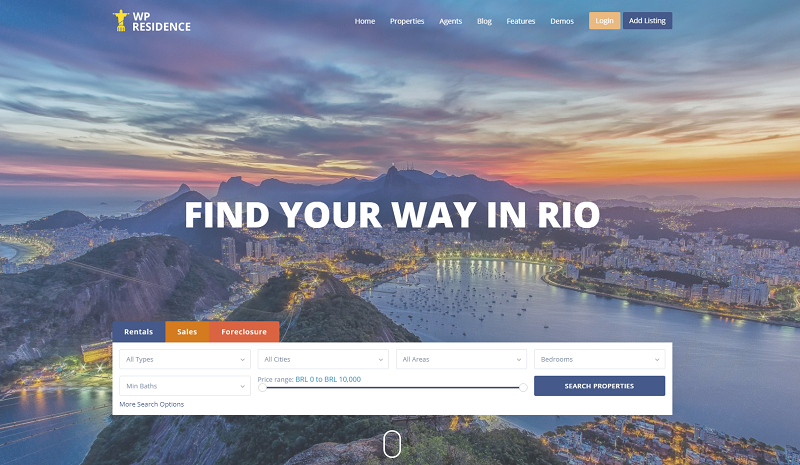 The theme comes with a flexible layout system with 11+ unique demos, creative design, and ultimate core features to build an outstanding Real Estate website. WP Residence is an effective real estate WordPress theme which is perfectly designed for independent agents and agencies. Over 400 neatly organized theme options are included in the theme to help you create a unique and modern real estate website. Space Home is a real estate theme that is worth your money with full functions of a real estate theme including powerful options & tools, advanced search & mapping, endlessly customizations. Plus, the integration of Real Estate plugin that supports users a lot in building time. Last but not least, Home Zone is a single property real estate theme which is the best solution for both real estate agencies and properties owners. Also, the theme has Multi-Pages option also that very useful for Real Estate Companies. All in all, every real estate theme owns specific strengths which might be in-depth single property, super-easy customization, or nice design. However, all of these themes provide a complete solution for building a professional real estate site. Hopefully, you can find something useful in the post to run a successful online business of real estate niche.